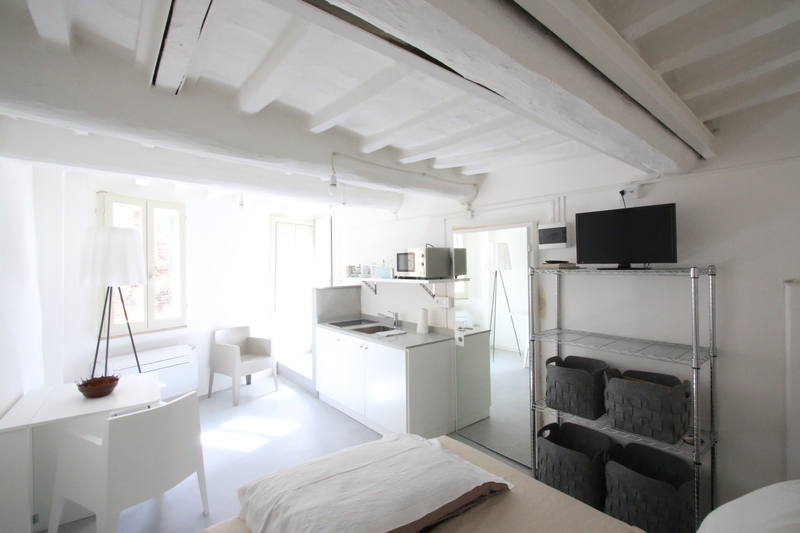 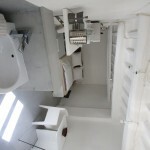 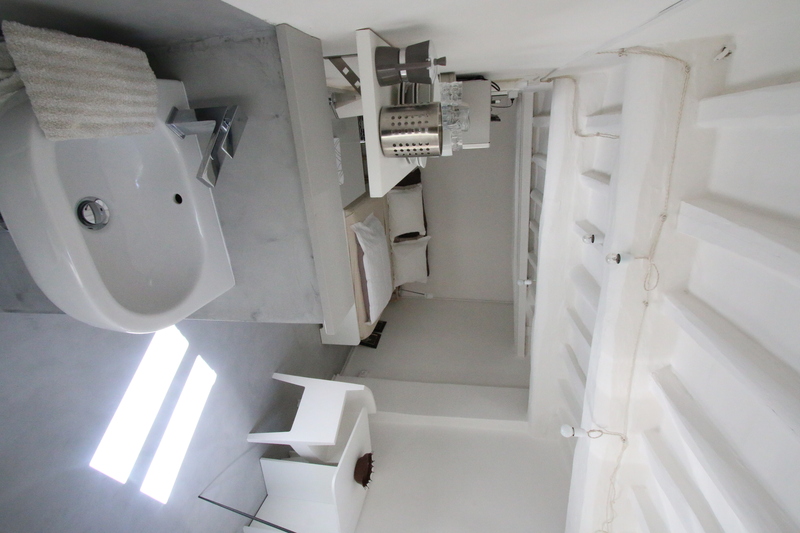 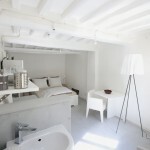 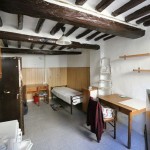 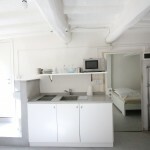 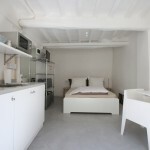 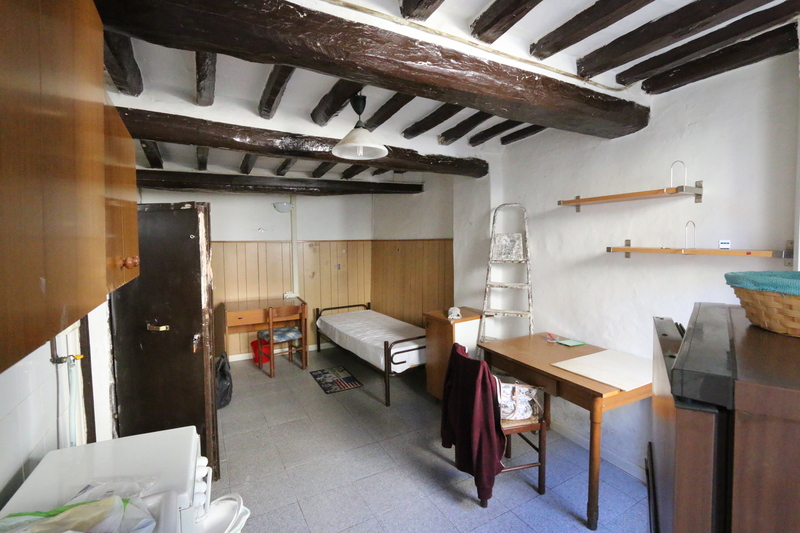 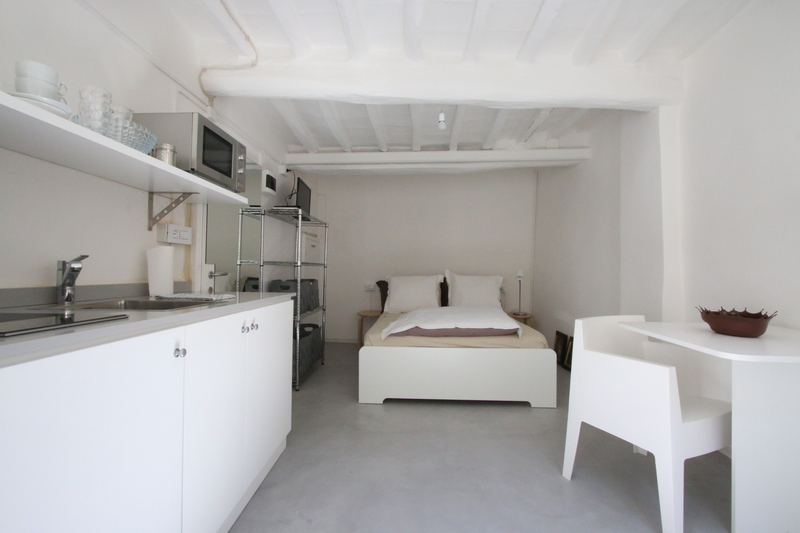 This tiny studio loft of just 15 sq.meters is in the very heart of medieval Perugia, Umbria, central Italy, on the second floor of an historical building overlooking a charming, narrow alleyway. 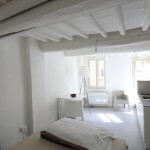 It was brought back to life after years of neglet and it will be used as a pied-à-terre by its new owner, who came all the way from Australia to buy a little piece of Italy. 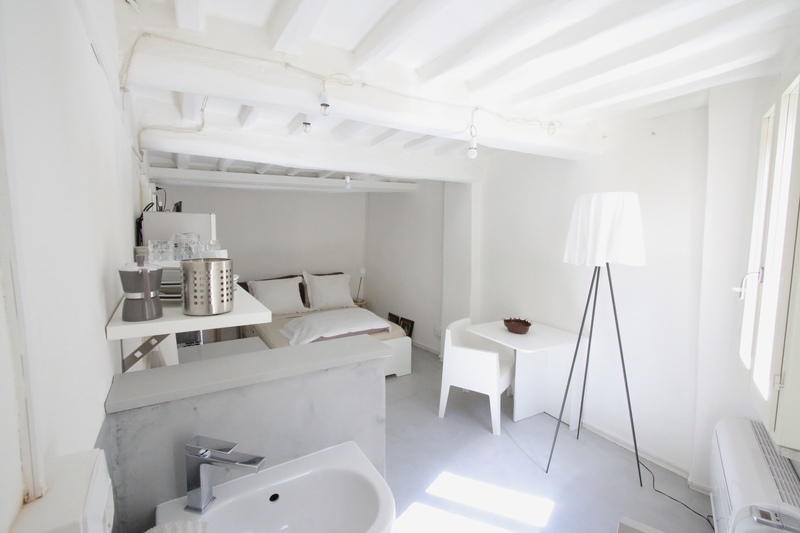 Total-white (with a touch of light grey) was the key language to try and visually “enlarge” this small space and make it functional and comfortable. 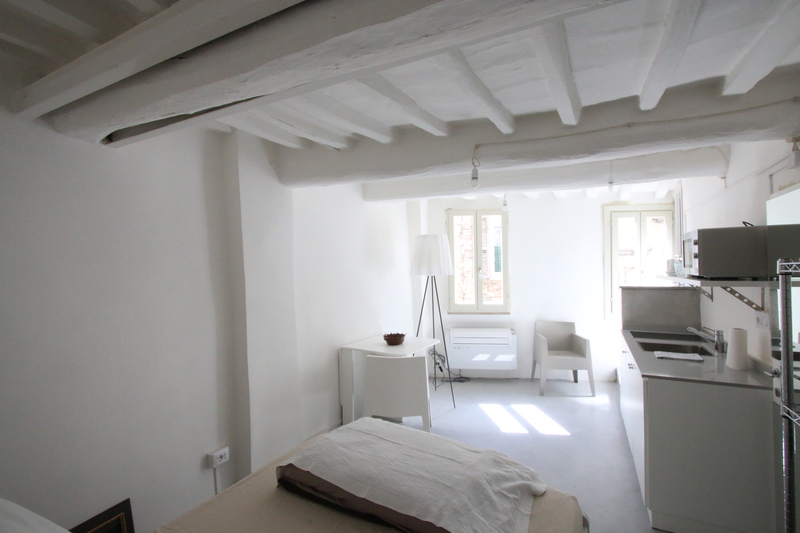 The old wooden beams and terracotta pianelle have been painted white (this was also a traditional way of giving light to a dark space) and the existing 70′ tiled floor has been covered with a light grey resin that makes the space more fluid. 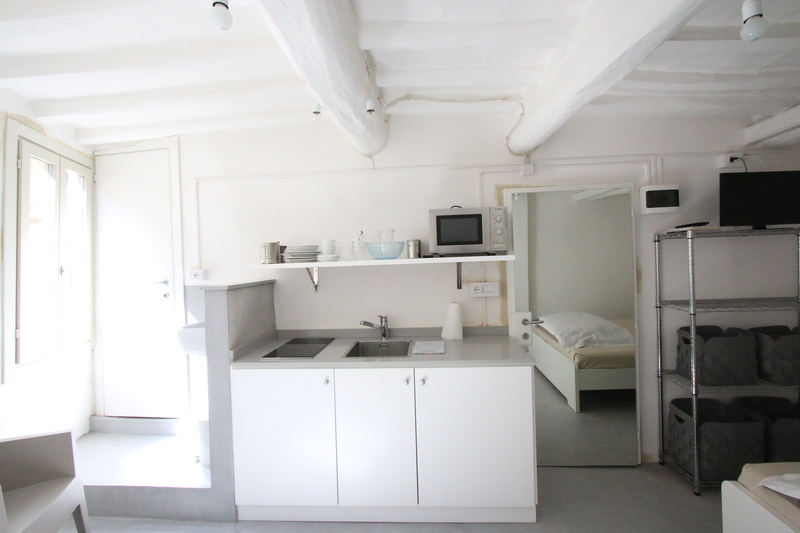 A mirror behind the front door helps to make the room feel larger; a hi-tech mini kitchen provides all it’s necessary for cooking at home. 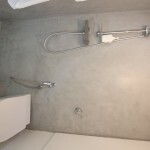 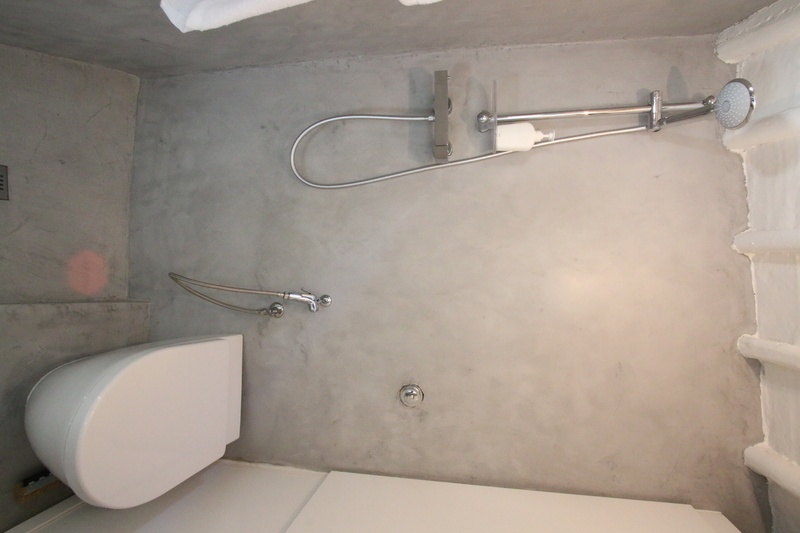 The wc and shower are obviously behind a door, but the sink is in the open space, hidden by a low wall behind the kitchen. 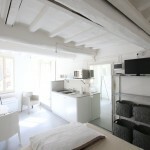 An inspiring restoration in the very heart of Umbria carried out by architect Marco Carlini.